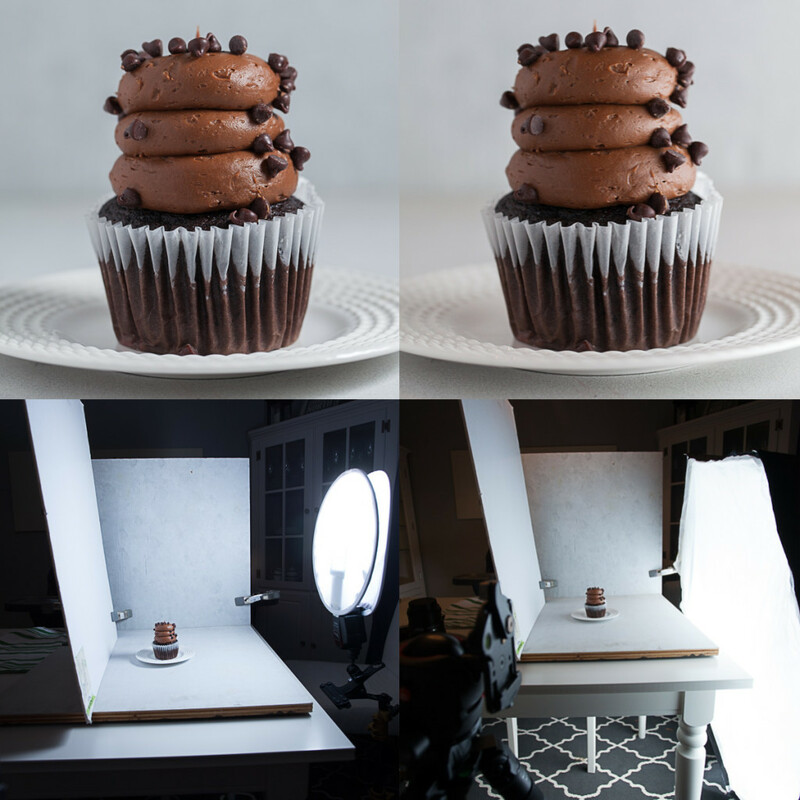 There are many different lighting modifiers out there and they will each give a unique look to your food photography. So how do you choose one? Well, you need to choose one that fits your style! So what if I don’t know my style? Not a problem! There are many different factors that make up your style (I will dive into these in a future post). One of these factors is the quality of your light. When using artificial light, it is really easy to have any quality of light you choose! All you need is the right modifier. This post does include affiliate links. If you make a purchase through these links, I will receive a commission at no cost to you. Thank you in advance if you do choose to do this. To keep things simple, let’s look at the quality of light as either hard or soft. Remember my last post, and the comparison between an Apollo Westcott 43″ Orb and the Flash Disc on cinnamon rolls? This was a brief introduction to soft vs. hard light. 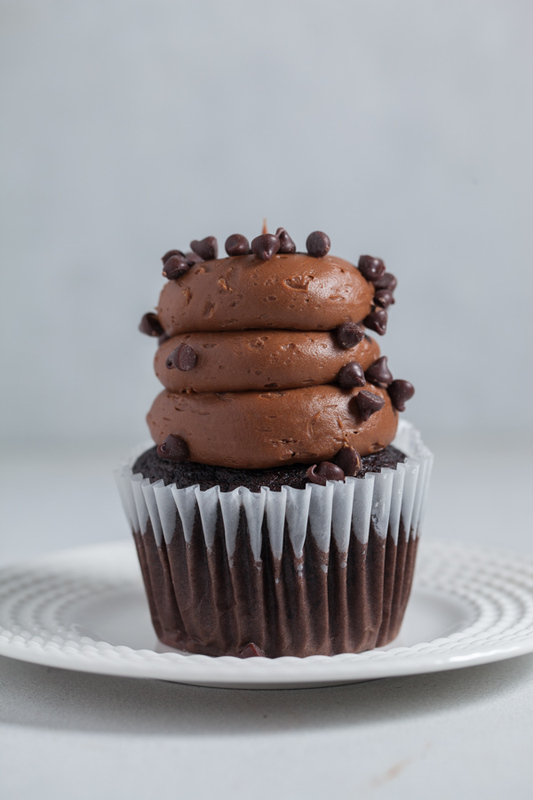 If you look closely at the icing on the rolls and the shadows, you can see that the Flash Disc shot (on the right) has slightly harder shadow lines and a little bit of an edgier look. 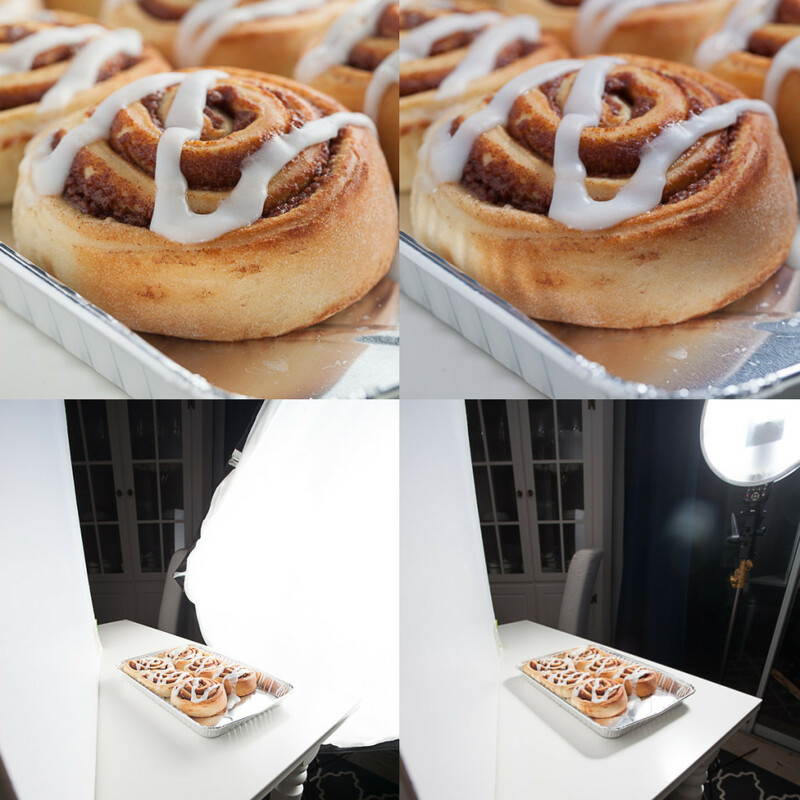 In this set-up, the white poster board is very close to the subject and provides greatly diffused fill light onto the front of the cinnamon rolls. 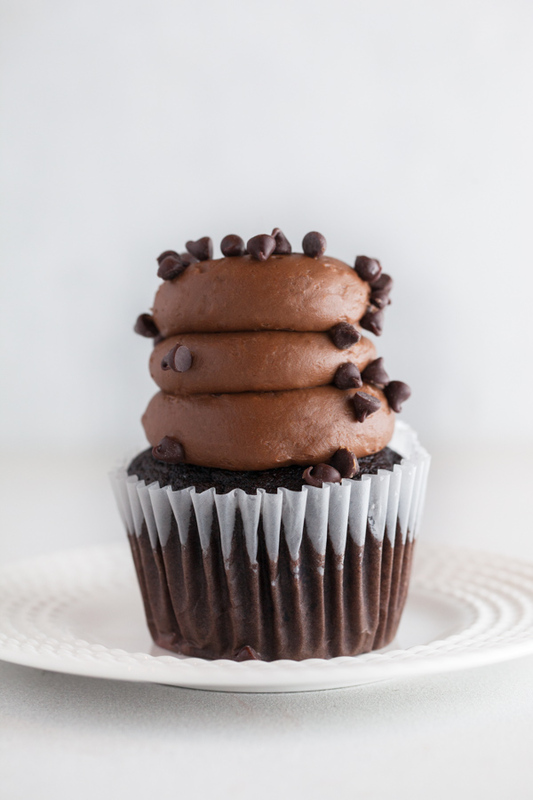 With this fill light, it may be hard to see the differences in the two rolls. To really understand soft vs. hard light, let’s take a look at a setup with less fill and one that focuses more on the modifier. 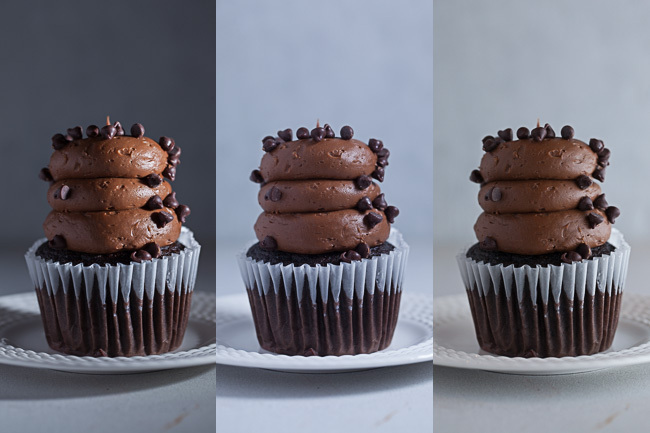 Here is a look at 3 shots of the same cupcake on the same background. The only difference is the lighting modifier. On the left is a bare bulb, the center is with the Flash Disc and the right is with the Westcott Apollo 43″ Orb. The one on the left has the harshest (hardest) light. 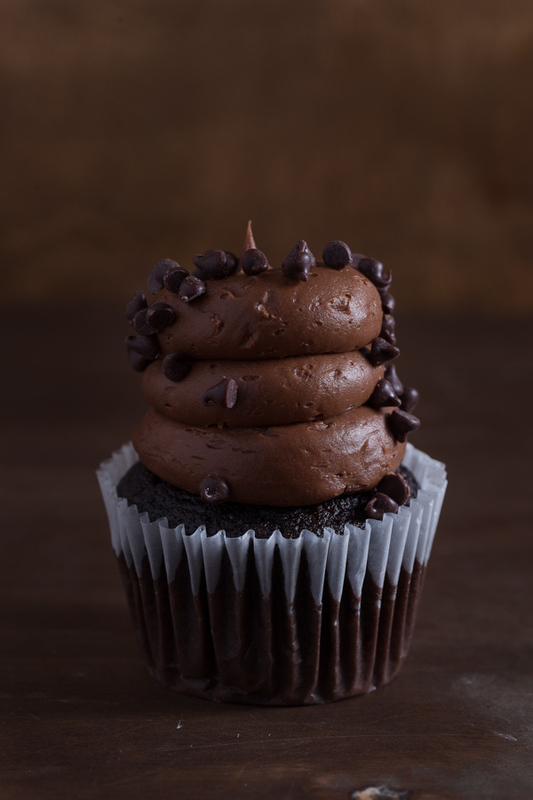 See how the shadow lines are very distinct and the highlight on the right side of the frosting is short and very bright? On the opposite end the of the spectrum, the light on the far right is the softest. 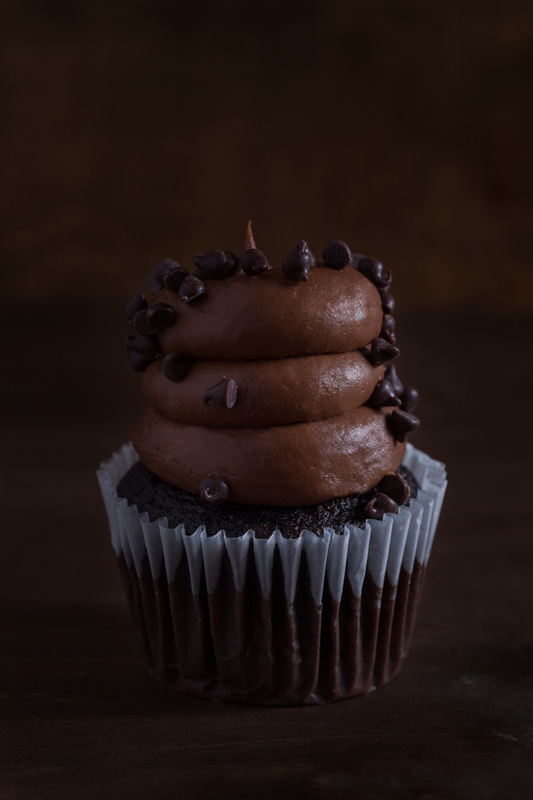 This shot taken with the Westcott Apollo Orb has very soft shadow lines and the highlights are long and smooth. The bare bulb shot is way too harsh and something that you wouldn’t use. So let’s take a closer look at the Flash Disc and Apollo Orb example. Above are the set shots and final shots of the Flash Disc and Apollo Orb. Let’s take a closer look at these two shots. The above slider shows a closer look at the same subject with the two different modifiers. The before image was taken with the Flash Disc and the after was taken with the Apollo Orb. Can you see the differences in the quality of light between the two? How does my style influence which modifier I choose? Now that we have examined the light quality, let’s look at how your style would dictate which you choose. The soft diffused light created by the Apollo Orb is perfect for a light and airy look. Let’s look at a before and after with Photoshop retouching and curve adjustments applied. Next up is the Flash Disc. I think that the harder and edgier light created by the Flash Disc works well with images that have a lot of contrast and that dark and moody feel. So, let’s switch out the background to a dark wood. And here is the kind of shot that you can capture. Not bad. Let’s take it into Photoshop for some retouching, adding a blend mode to darken it up, and applying some masking. The results are seen in the before and after slider below. The before is straight out of the camera and the after is with the Photoshop adjustments. There isn’t a wrong or right answer! What you choose is completely up to you! 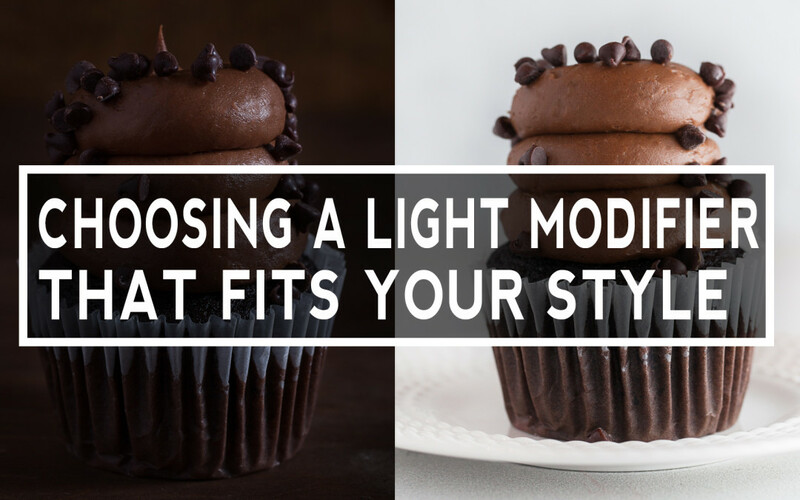 Just remember how to choose the modifier that will deliver the quality of light that matches your style! 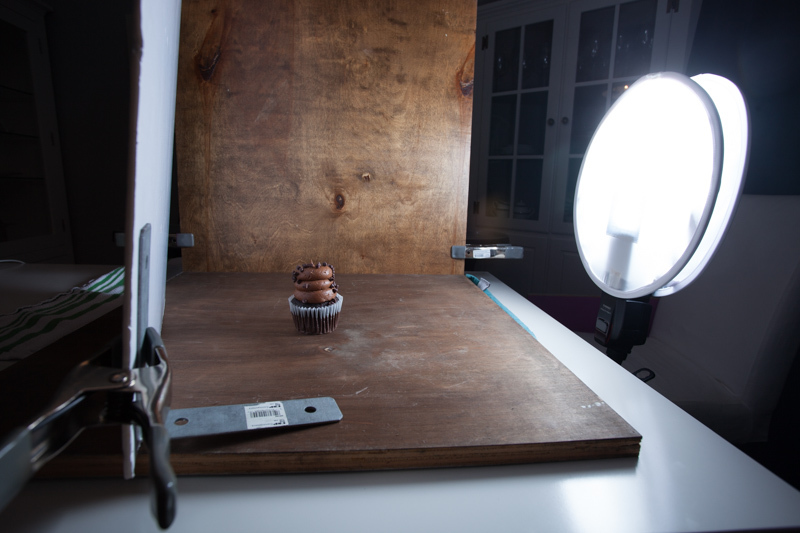 If you follow me on instagram, or have read the photographing FOOD PDF series, it won’t surprise you that I tend to gravitate towards the soft lighting created by the Apollo Orb. 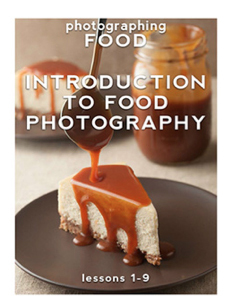 Want to learn more about how lighting modifiers can change the look of your photography, check out photographing FOOD Issue 8! The entire issue is dedicated to exploring how you can modify light!